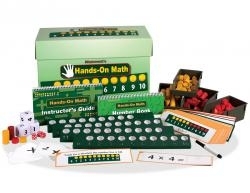 Kids learn when their hands are purposefully engaged, while math manipulatives help students grasp abstract concepts. 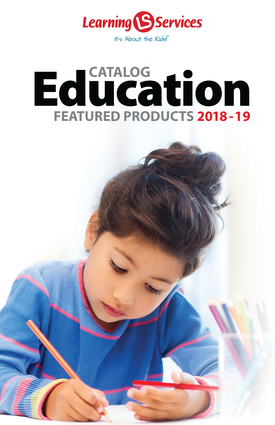 Hands-On Math incorporates both big ideas to teach a wide range of standards-based math lessons to students with intellectual disability and/or autism, regardless of age. At the heart of HOM is a set of four number lines used in combination to demonstrate concepts and help solve related math problems. Instruction is organized by unit, skill area, and lesson. Each unit (Counting, Sets, Math symbols, Patterns, and Base ten) has four skill areas. Photo-illustrated instructions help teachers present the lesson. Students work independently or in small groups to solve related problems. Both representational (pictures) and abstract (numbers and symbols) formats are presented on the laminated Activity Cards, so differentiation is built into each lesson. Follow the photo-rich Instructor’s Guide to prepare for and set up a lesson quickly. The Guide also features a PDF CD with additional Activity Cards for lesson expansion. Printable Assessment Forms and Performance Data Sheets are are also included on the PDF CD for easy monitoring of student progress.